Under 21 DUI or "Baby DUI"
We’ve have a combined 30 years of experience defending those accused of DUI and other alcohol and drug related offenses. 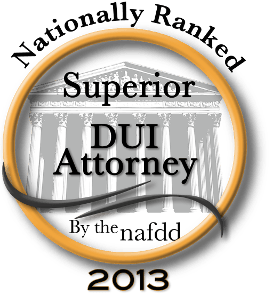 James Charnesky and Dina Dieglio are Tucson, Arizona DUI lawyers. They work every case together as a team. When you hire Charnesky & Dieglio, you get Charnesky & Dieglio, not a junior associate. We have spent our whole careers standing up for people just like you in the courts of Pima County. James Charnesky and Dina Dieglio are Tucson, Arizona DUI lawyers committed to providing aggressive, superior legal representation for individuals accused of criminal and alcohol related offenses. Partners James Charnesky and Dina Dieglio are both highly experienced Tucson DUI and criminal defense litigators, each having personally handled thousands of criminal and alcohol related offenses. What really sets James Charnesky and Dina Dieglio apart from other lawyers and law firms is their team approach in representing their clients along with their commitment to hands on personal representation. James Charnesky and Dina Dieglio have purposefully set out to be a small firm committed to individually helping their clients. What they are not, and what they purposely try to avoid, is the big firm type of representation. We do not treat cases as if they were a car on an assembly line. We are not a DUI mill. We concentrate in the Tucson and Pima County area. We don't have offices in, or travel to, other parts of the state. We are personalized. We are accessible. We are hands on. We keep our practice small so we can be completely dedicated to giving our clients the very best representation. When you hire us you have direct access to us, not a law clerk, or a paralegal, or an associate attorney. Your case will not be assigned an attorney. When you hire us, you know up front you are hiring James Charnesky and Dina Dieglio to personally handle your case. Both James Charnesky and Dina Dieglio will take an active role in litigating your case. Both the partners will be available to answer your questions and give you advise. Our clients have the distinct advantage of having two attorneys working all aspects of their case. At Charnesky & Dieglio, we understand that people accused of a crime are worried about their freedom, their employment, and their privilege to drive. We know people need quick and clear answers to their legal questions. If you have been charged with a crime, call The Law Offices of Charnesky & Dieglio and schedule an initial consultation immediately. See also http://www.tucsoncriminallaw.com/ for information on domestic violence and other non-dui related offenses. Or fill out the form to contact us by email. We live and work right here in Tucson. This gives us the time and energy to focus on producing great results for our clients locally. In fact, we've both spent our entire legal careers helping people accused in Tucson. We understand that a DUI charge is like a dark cloud looming above you. We work together to make sure that you not only get a great resolution to your case, but that you also know that you are well taken care of every step of the way. Copyright © 2019 The Law Offices of Charnesky & Dieglio, L.L.C.